Visit beautiful locations in nature in America when you book the Discover Sedona Small-Group Tour. Enjoy watching the scenic landscapes and beautiful rock formations in Sedona, Arizona. Sedona is known for its beautiful Red rock formations. See spectacular views of nature and visit the Chapel of the Holy Cross which was designed by a student of famous architect Frank Lloyd Wright. Wander around Sedona’s stunning rock formations and the Red Rock Canyons in Sedona while you and a small group hike and enjoy listening to this narrated tour and learn about the history of the rock formations in Sedona. Enjoy the view of the majestic Thunder Mountain and Coffeepot Rock. Visit the Chapel of the Holy Cross which was designed by Marguerite Brunswig Staude. Finally, visit Oak Canyon and Tlaquepaque. After a break from hiking and viewing nature and rock formation spend some downtime relaxing at Tlaquepaque. Tlaquepaque is Sedona's Arts and Craft Village. Tlaquepaque is designed to look like a traditional Mexican Village and houses new age shops and art galleries that sell both traditional and modern art. The Discover Sedona Small-Group Tour will take approximately two and a half hours to complete. Dress casually for hiking and be prepared for prolonged walking. This package includes pick up and drop off at your hotel, a visit to the Airport Overlook, and the Chapel of the Holy Cross. Water is made available throughout the tour. Adults must accompany children at all times. Food and drinks are not included in the tour. Come prepared to walk and bring a snack. The Discover Sedona Small-Group Tour takes you to some of Sedona’s most beautiful locations. This walking and hiking tour will take you to see the red rock formations, Chapel of the Holy Cross, and the Tlaquepaque Arts and Crafts Village. 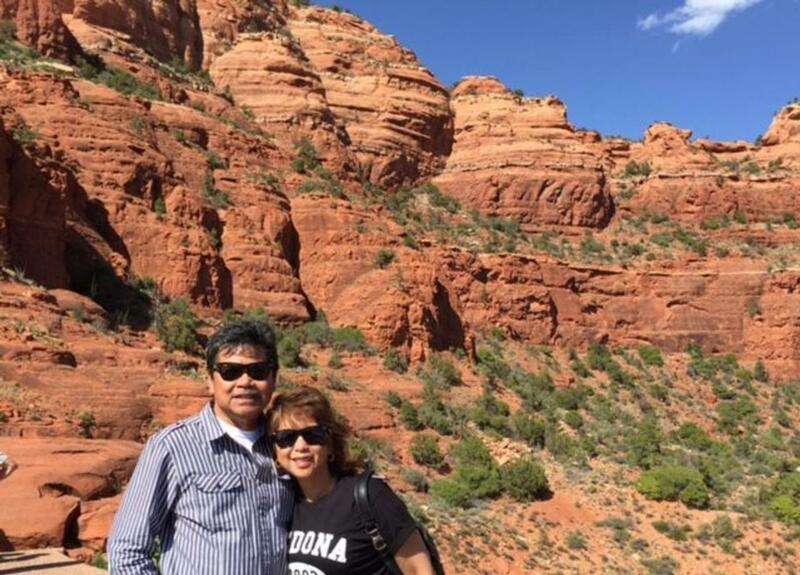 Our Sedona Tours around and over the world famous red rocks of Sedona allow you to make the most of your stay while you're visiting Sedona. Nestled within red rock canyons and formations just below the Mogollon Rim, (southern edge of the Colorado Plateau) Sedona has been voted #1 of The 10 Most Beautiful Places in America. After millions of years of inland seas and lakes depositing their sediment, in combination with the raising of the Colorado Plateau, the stage was set for the erosion process that would form the world famous red rock canyons and formations for which Sedona, Arizona has come to be known. On this 2.5 hour tour we will take you to the Airport overlook with its spectacular views of Thunder Mountain and Coffeepot Rock, you will spend time at the Chapel of the Holy Cross which was designed by Marguerite Brunswig Staude (a student of Frank Lloyd Wright). We will also show you Tlaquepaque which is Sedona's Art Village and Oak Creek Canyon. This is a fully narrated tour on which you will learn about the history and folklore of Sedona, and you will be able to take breathtaking pictures of this trip.